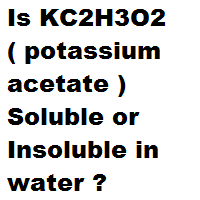 Is KC2H3O2 ( potassium acetate ) Soluble or Insoluble in water ? 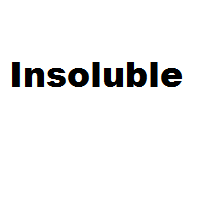 Home › Soluble or Insoluble › Is KC2H3O2 ( potassium acetate ) Soluble or Insoluble in water ? 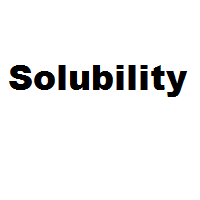 Question: Is KC2H3O2 ( potassium acetate ) Soluble or Insoluble in water ?